This project required the use of custom designed commercial decorative window film at a Commercial Business Complex, in Oak Brook, IL. All the offices have the same architectural element, of a side light windows, on the right side of the suite’s door. The client tasked Advantage Window Tinting to provide an elegant solution for increased privacy. 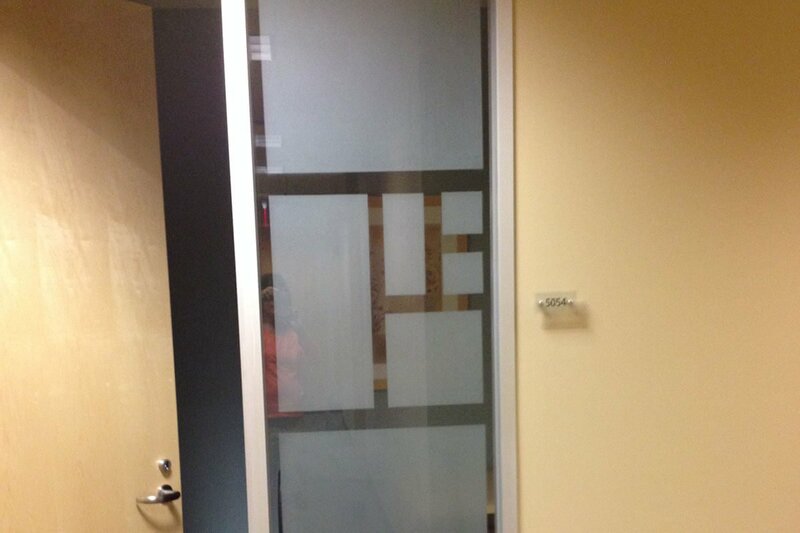 The designed you see in the picture is the pattern we came up with for the 20 office suites.